Our go-to top for all summer days! 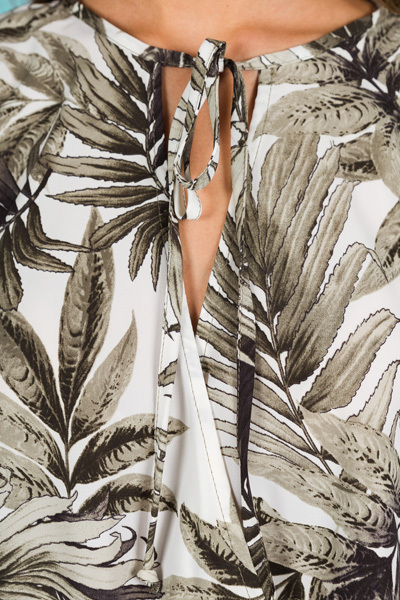 This top features a wrapped look and tie details that compliment the tropical print. 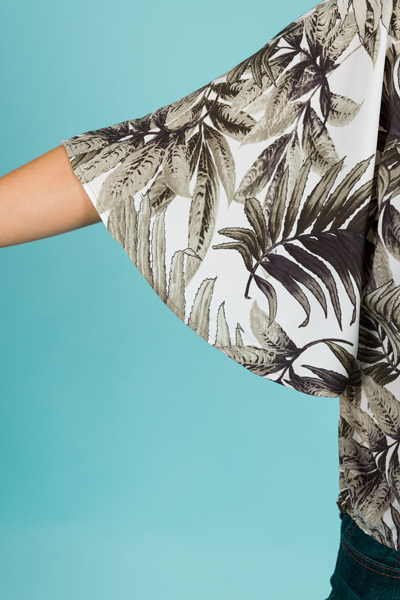 What's even better is that it is made from a breezy, lightweight fabric that can easily be dressed up for a day date or dressed down for a Saturday in the park with the girls! Fits true to size. Jordyn is wearing a small.